Vote for your favorite. Which kit would you like to experiment with this holiday season? Note: In order to vote in our survey on the right, please log-in to your Qualcomm Developer Network account. 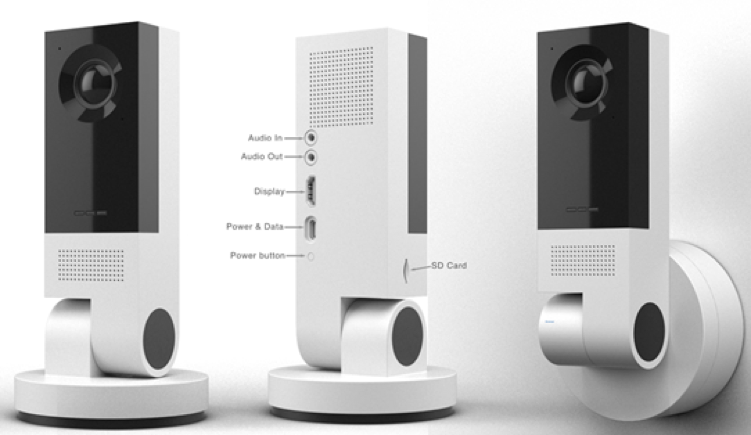 The Vision AI Development Kit is built around the Qualcomm® Vision Intelligence 300 Platform and includes camera processing software, hardware-accelerated inferencing of AI models, and SDKs for machine learning and computer vision. With this platform, AI models can be run on devices at the edge. Use it to prototype products for industrial safety, manufacturing, logistics, retail, and home and enterprise security. This could include home monitoring cameras, enterprise security cameras, and smart home devices with built-in vision AI. Get a jump start by watching this webinar. 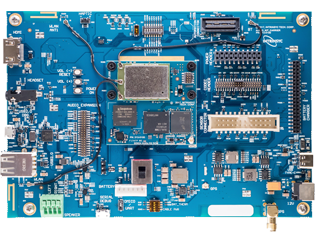 This kit offers a low power, Internet of Things (IoT) System-On-Chip (SoC) solution with Wi-Fi (QCA4020 only), Bluetooth low energy (BLE), and 802.15.4-capable radios in a single-chip package. 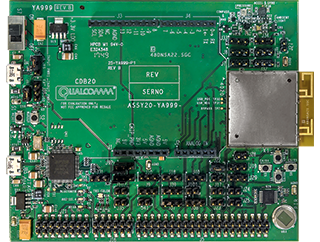 QCA4020 and QCA4024 are designed to address IoT fragmentation and the need for interoperability by offering multiple radios, standards, protocols, and connectivity framework support. Use it to design your IoT applications for home control and automation, networking, home entertainment, or perhaps a bigger, smart cities project. Get a jump start by reviewing this Hello World project, as well as our Hello World tutorial video. The platform is built on Android Things and consists of a system-on-module (SoM), development board, and a set of reference designs. Connectivity options include Wi-Fi 802.11ac with 2x2 MU-MIMO, Bluetooth low energy 4.2. It also includes GPS and a digital microphone direct interface to SoC Qualcomm® WCD9335 audio codec. 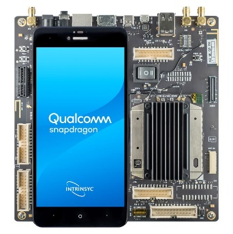 With the Qualcomm® AQP8053 SoC you can add edge computing, multimedia, video, and touch display capabilities. Build artificial intelligence (AI)-supported home hub products like IP cameras, robots, security panels, and smart appliances. Use it for applications involving machine learning, video conferencing, remote monitoring, and video streaming. 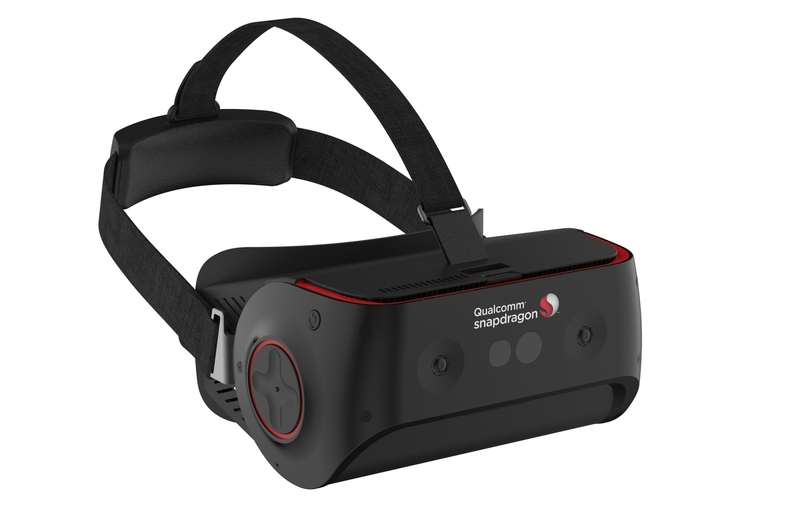 This kit from Thundercomm is a standalone, all-in-one VR headset with a Wide Quad HD (WQHD) AMOLED head mounted display (HMD) with an integrated Snapdragon 845 SoC. It includes dual front-facing cameras for six degrees of freedom (6DoF), room scale head tracking, and eye tracking. 6DoF motion tracking runs at 1000Hz using the integrated Qualcomm® Hexagon™ DSP. Port your existing games into a VR format for more immersive, all-mobile experiences, or create new experiences in new environments, thanks to a truly mobile VR platform. Based on the Qualcomm® Snapdragon™ 845 mobile platform, this HDK is available from Intrinsyc Technologies Corporation or eInfoChips. It’s a dynamically featured Android development platform designed for creating high-performance mobile devices and applications. The kit features LCD or 4K HDMI out, cameras, audio in/out, microphone inputs, and a 2850mAh Li-Ion battery. Create immersive VR and AR experiences, cutting-edge camera applications with visual intelligence, and perform on-device AI algorithms. Using this HDK, developers can utilize other SDKs such as the Snapdragon Heterogeneous Compute SDK to balance performance and power consumption, or the Snapdragon Profiler to gain insight as to how an application is executing across the SoC’s various processors. 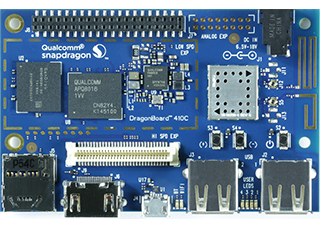 The DragonBoard™ 410c is a development kit from Arrow Electronics based on a Qualcomm® Snapdragon™ 400 series processor. The kit exposes the Snapdragon processor and lets you tap into its functionality through its connectors, adapters, and expansion headers in your own product development efforts. Create, prototype, and test your dream IoT product which might include the next generation of robotics, cameras, medical devices, vending machines, smart buildings, digital signage, or casino gaming consoles. Get a jump start by watching this webinar or watching our tutorial videos. And get inspiration from other developers by checking out some projects built with the DragonBoard 410c. Once the holidays are over and you’ve had your fill of eggnog, let us know which kit you picked and what you created. Happy Holidays from all of us at Qualcomm Developer Network!